This is not really a myth but an annoying misapplication of a name: the plant in question being the most commonly cultivated ornamental pea species. 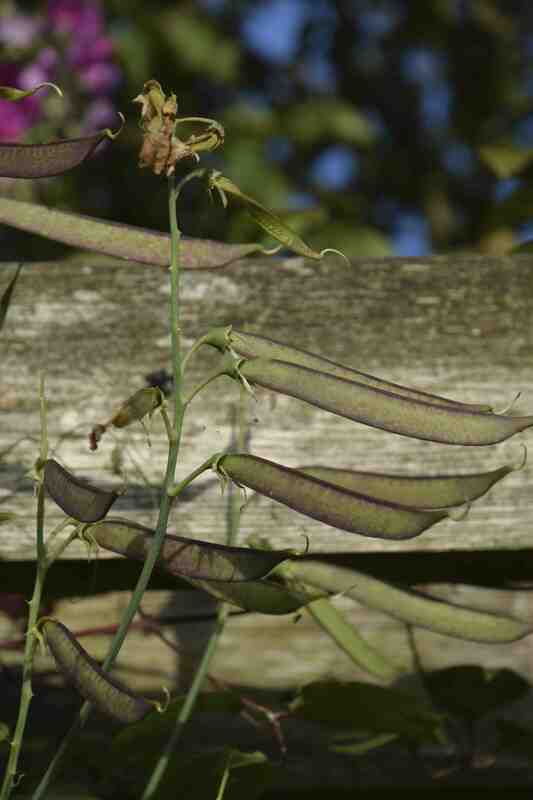 I am being very careful since it is not really a pea – edible peas are pisum, not lathyrus! This plant is Lathyrus latifolius. 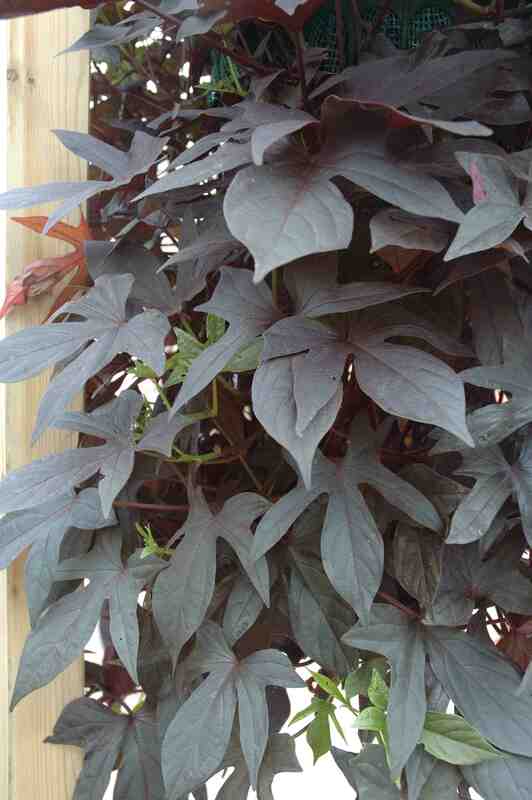 It is a vigorous, sprawling, herbaceous plant that can reach 3m in height and more across. It does not spread by underground stems or roots but each plant can become very substantial with age and it does self seed. 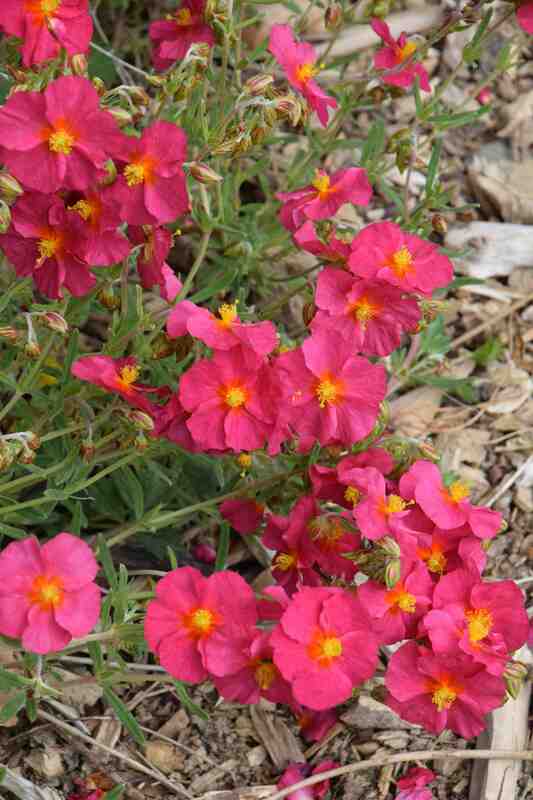 The whole plant is hairless, with winged stems and each flower stem carries about 5-10 flowers that are typically bright pink but there are strains with white or pale pink flowers. 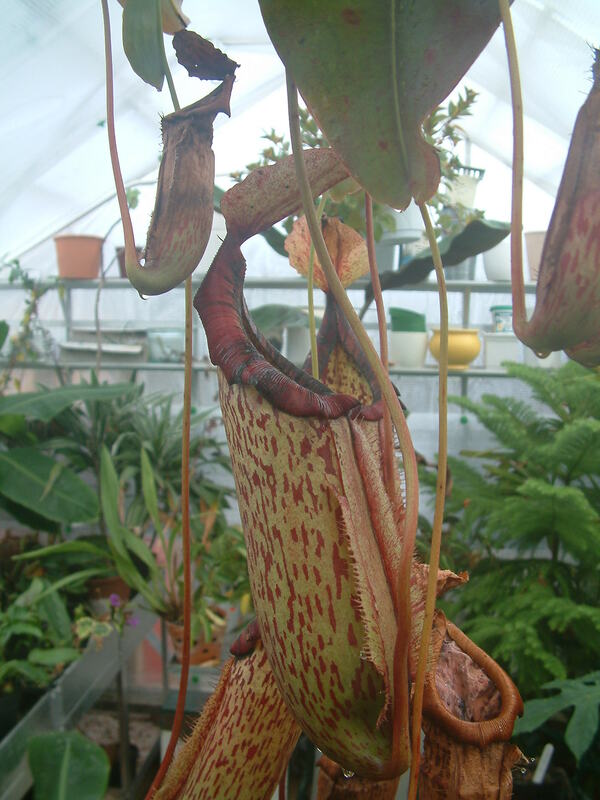 One thing this plant doesn’t do is smell! 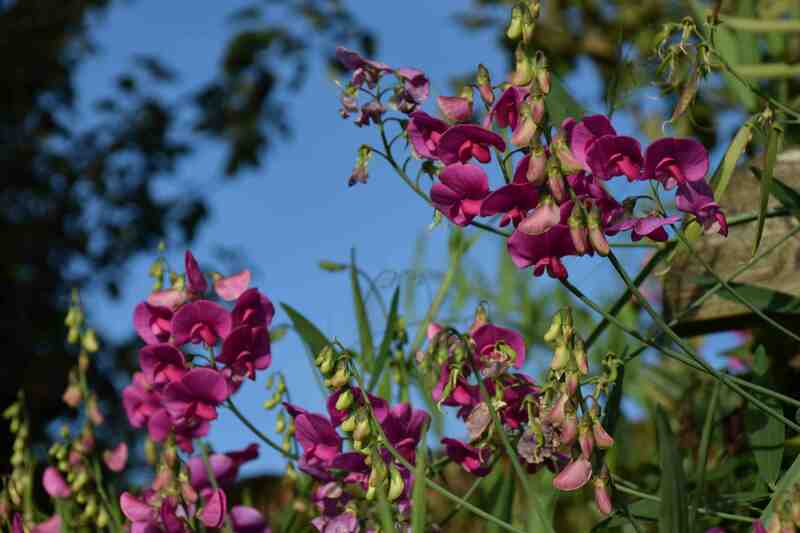 It is often (almost exclusively) called the ‘everlasting sweet pea’ which is really confusing. The real sweet pea (Lathyrus odoratus) is an annual, (that can be grown as a biennial) that has hairy seed pods and fewer flowers per stem. 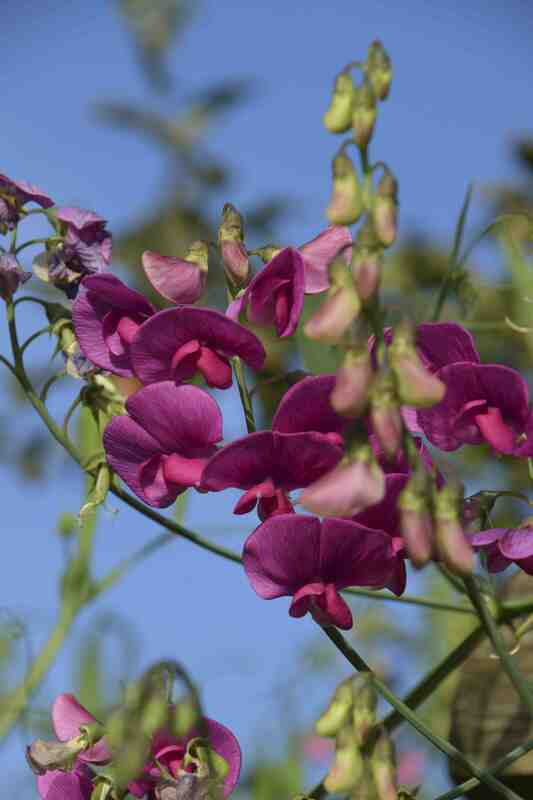 The old-fashioned ‘Grandiflora’ sweet peas have one to four flowers per stem, the Spencers, with larger, frilly flowers, have four or maybe five and the ‘Multifloras’ may have five to seven, but none have as many per stem as Lathyrus latifolius. Lathyrus latifolius is native to Europe, including the British Isles where it usually grows on poor, sandy soils and I remember, as a child, seeing it growing on disturbed soil on the Suffolk coast growing around and through chandlers’ yards, covering chainlink fences alongside tree lupins and wild asparagus. 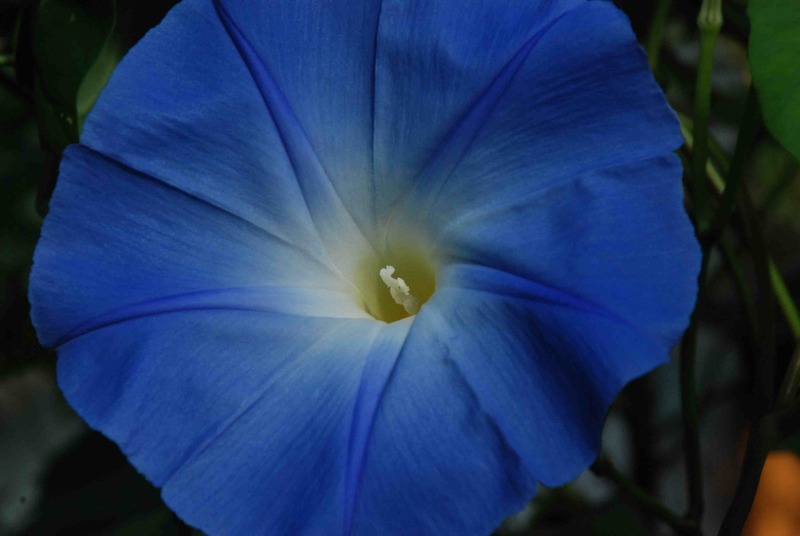 Although it is not fragrant, the flowers are pretty and can be cut for vases, the flowers developing blue tints as they age, just before the petals drop. 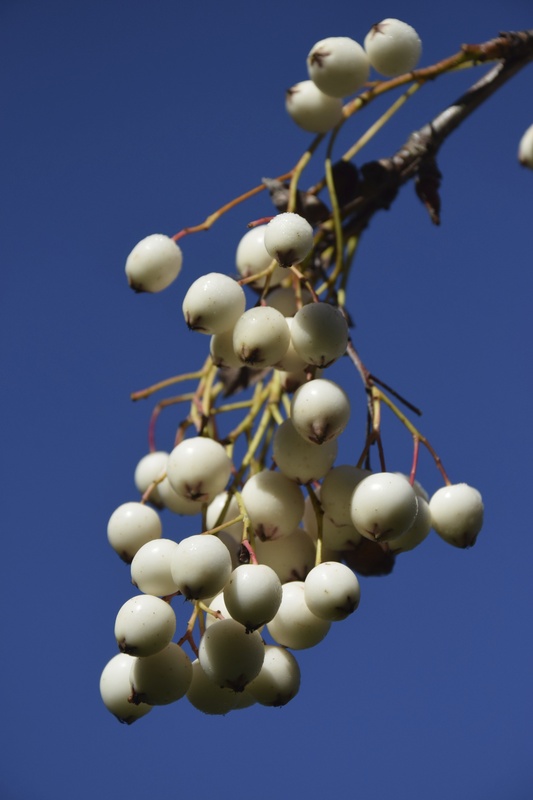 It is easily grown from seed and is useful for covering unsightly objects in the garden, but remember that it does die down in winter and needs to be cut back in autumn when the growth dies. 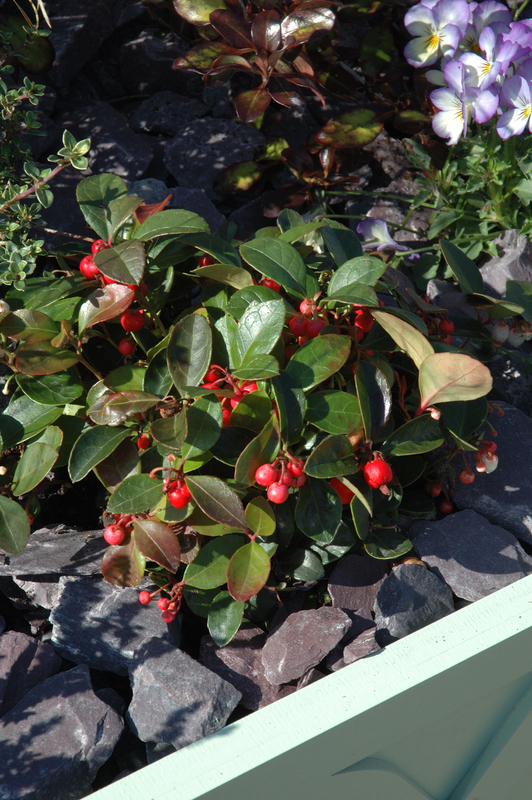 It is also vigorous and does not mix well with more delicate neighbours. Rearrange these and you get Higgins: Michael D Higgins, who is the ninth and current president of Ireland. Here in upstate New York , it is common growing along our rapoadside and interstate highways. 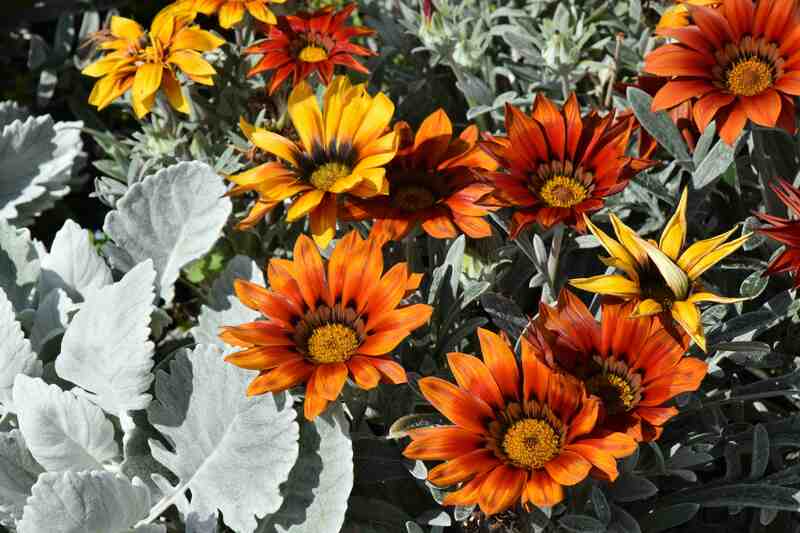 I have it in a wild part of my garden and is self sowing well. Thanks for the comment. It is interesting that it has naturalised there along roadsides and that it has made itself at home in your garden too!